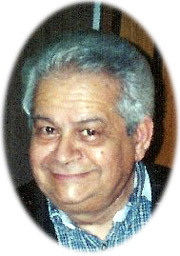 Donald De Rosa, 69 of Cicero died Saturday in the Francis House, Syracuse, NY. Born in Little Falls, NY, he was the son of the late Anthony and Diane (Terzi) De Rosa. He was a DJ, and spent many years on local F M Radio Programs such as WKFM 104.7. Don, aka Polka Stoney, and Cumpari Joe, hosted thousands of hours of Polish and Italian radio programs for over 35 years. Don is well known in the Central NY area for his â€œPolka Music Unlimitedâ€ and â€œMusic Italiano USAâ€ programs. He also hosted â€œCruzzin with Donny Dâ€. He is survived by one daughter: Diane (Pat) Morgese of North Syracuse, NY and two sons: Dan (Kelly) De Rosa, Anthony (Laurie) De Rosa, one brother: Anthony De Rosa of Little Falls, NY, and 7 Grandchildren. Friends may call Tuesday from 5-8 PM at Sears – Middleton – Jones Funeral Home 209 North Main Street (Rt 11), North Syracuse, NY. A Mass of Christian Burial will be held Wednesday at 10:00 am at St. Rose of Lima, 409 S. Main Street, North Syracuse. Interment will be in St Maryâ€™s Cemetery, Herkimer, NY. The family would like to say a special thank you to the staff of Francis House for their outstanding care. In lieu of flowers, the family request memorial donations be sent to Francis House 108 Michael’s Ave Syracuse, NY 13208. Donnie, You’ll always be my best friend. You were a great friend to us all down to the sweet inspirations. You will be missed very much this summer. May you rest in peace.